The electronic health record (EHR) system you choose for your medical practice is very important to the satisfaction of your patients as well as the success of your business. When you choose an appropriate EHR software, it should fit into your practice’s workflow and increase the overall efficiency of your doctors, nurses, and healthcare professionals. At Inpriva, we understand how challenging it can be to narrow down the best EHR for your practice. When it comes to exchanging personal health information (PHI) between healthcare providers, patients, paraprofessionals, and more, it’s important to find a system that offers secure and safe private messaging capabilities. Let’s take a look at some things you should consider before you select and implement a new EHR system at your medical facility. Before you start thinking about EHR software features, it’s time to get clear about what you are hoping to achieve. Are you looking for more efficient methods of scheduling patient appointments? Is your staff struggling when it comes to communicating with clients and other healthcare professionals? By taking the time to ask yourself these kinds of questions, it’ll be easier to narrow down your EHR choices. Every medical practice is different, which means you will have different requirements for your EHR system than others. Take some time to create a list of EHR requirements, such as automatic billing and being HIPAA-compliant. You may also want to consider mapping out your ideal practice workflow to see how each EHR system will complement or hinder your work. Finding an EHR software for your medical practice can make all the difference in work efficiency and organization. If you choose an EHR system that isn’t intuitive or doesn’t fit your practices workflow, it can have a negative effect on your patient experience and satisfaction. It can also cause issues for your staff, making processes slower and resulting in more mistakes. 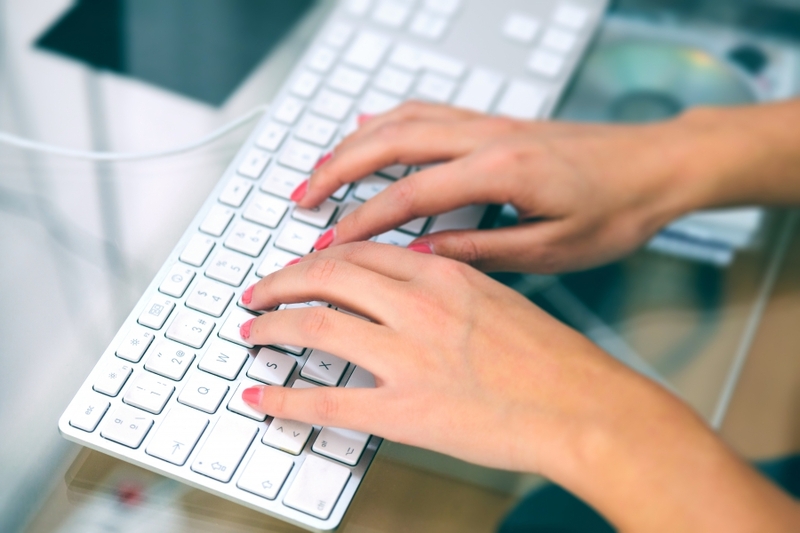 Whether you work in a podiatrists office or a wellness facility, you’ll want to make sure the EHR system you choose in compliant with the Health Insurance Portability and Accountability Act (HIPAA). HIPAA, which was passed by Congress in 1996, specifies who can access or retrieve a patient’s medical records. This law was made to set limits on the use and release of medical records, establishing a series of privacy standards for healthcare providers to follow HIPAA compliance. 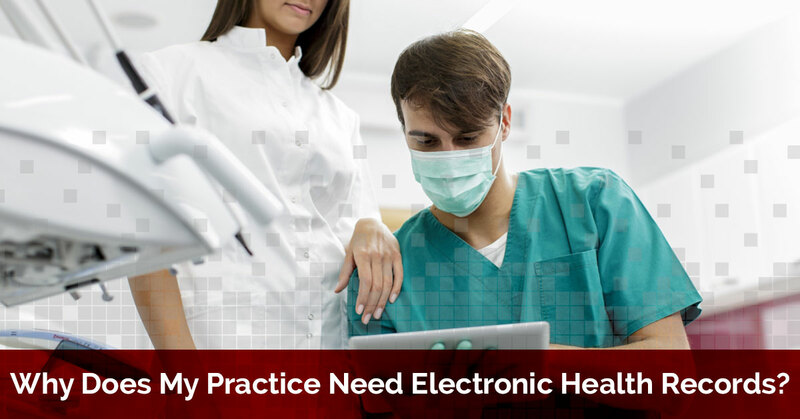 Why Does My Practice Need Electronic Health Records? If you’re tired of having to sort through mountains of medical papers, transitioning to an EHR software should be at the top of your priority list. With an EHR system, you can streamline your hospital or healthcare work to a more efficient and user-friendly method. This will improve the availability and transparency of medical information to your patients and staff. Let’s be honest: we’re all humans who make mistakes. However, investing in an EHR system can help you reduce the risk of error in your healthcare facility. With the implementation of e-documentation, doctors and nurses can work to avoid information error and shorten patient handling time. One of the biggest reasons to invest in an EHR system is so that you can create new treatment options for each and every one of your patients. 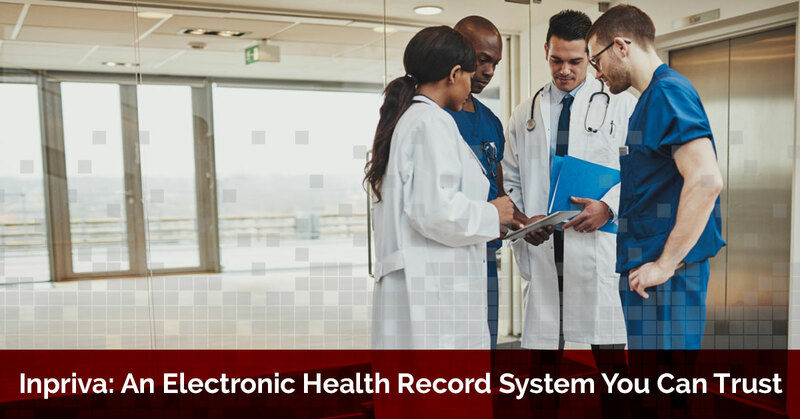 A detailed health record is key when it comes to selecting the right care plan for a specific patient, and unlike bulky paper charts, EHR systems are easy to explore and navigate. It’s also important to note that digital systems are much less prone to human error, which can help to eliminate unforeseen administrative headaches down the line. As a healthcare professional, you work with patients on a daily basis to promote healthy behaviors and to cure common ailments. 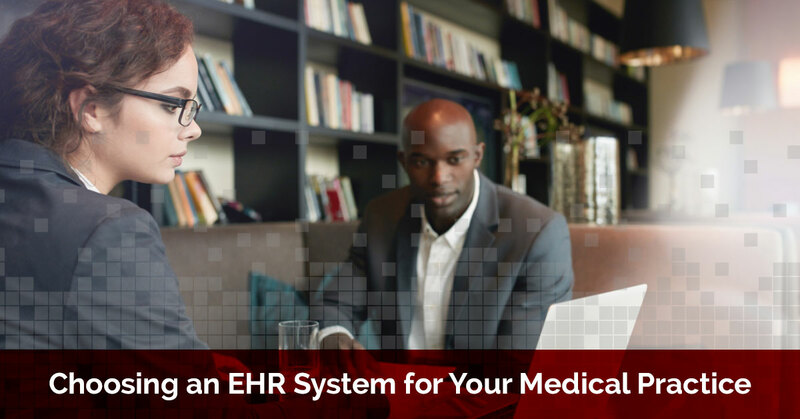 When you work with an EHR system, it will give your physicians the tools they need to work with patients and educate them on their health conditions. A quality EHR may will also have the capability for patient portals. This gives individuals more access and control over their personal health history. Not only can this help improve patient engagement and communication with your facility, it can help your patients become more responsible about their daily health. 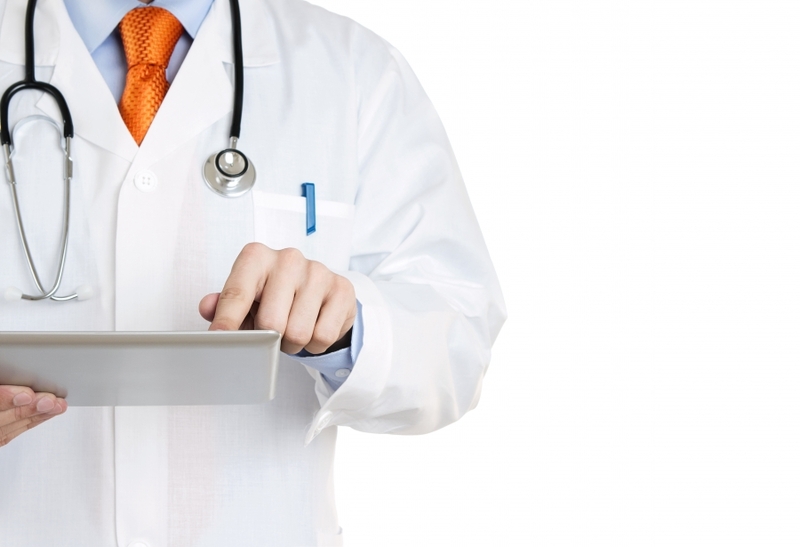 Contrary to popular belief, investing in an EHR system can actually save your practice money. This is because paper medical records have higher costs due to the necessity of more personnel to manage, access, file, and maintain all necessary patient paperwork. While most EHR programs do not have specific appointment scheduling features, some of them can be integrated with other scheduling systems. By integrating these two systems, it can actually help to enhance appointment scheduling at your medical practice because it can ensure that certain clinical protocols are being met. A good example of this is with medical appointments that may require a pre-op appointment. With the integration of an EHR system, it’s easier than ever to view patient health records to see if all protocols have been met before another appointment is set. Working in the medical field, you probably already know that each patient has a unique medical history. This can make it difficult for physicians to stay on top of vaccines. Luckily, when you implement an EHR system, you can keep a detailed overview of each patient nearby at all times. This will allow for a higher quality of healthcare to be delivered to each patient. Since a typical patient visits a number of doctors for a variety of reasons, each occasion leads to new information that should be updated in the patient’s file. When physicians have better access to these comprehensive overviews, they are better able to deliver accurate diagnosis and effective treatment plans. If you work in a small medical facility, your space is probably limited. When compared to digital records, paper records require a substantial amount of space to be stored. Not only do healthcare providers have to keep all patient information on file for the treatment of their patients, they also must keep the files on hand due to health care regulations for at least six years. Investing in an EHR system can help you to reduce the medical office clutter in your space, offering you a systematic way of filling personal health information. A secure and private EHR software can increase the security of your practice’s personal health information. Paper records can easily be compromised, whether it’s from a break-in, human error, or damage from a natural disaster like a fire or flood. When you sign up for one of Inpriva’s hDirectMail Plans, you can rest assured that your sensitive information is confidential and safe. As you may already know, paper medical records can be difficult to read and sometimes challenging to understand. This is often due to the physician’s illegible penmanship. Since electronic health system programs are written with a standardized typeface, it leaves much less room for doctor and patient confusion. EHR systems are built to hold all important and confidential patient information. This means that a physician can easily bring up an MRI or lab results without having to call another medical practice, which can save your physicians a ton of time. EHRs don’t just store medical history, they also store the contact information of the patient and insurance information. When it comes to choosing the best electronic health record system for your doctor’s office, nursing facility, or hospital, you can trust Inpriva to provide you with the best solution. Our hDirectMail plans start as low as $99 per year, giving you access to three hDirect mailboxes and up to 1,200 shared messages. Check out our plans and pricing or learn more about our enterprise accounts. Whether you work as a nurse practitioner, dentist, behavioral therapist, or addiction specialist, you’ll love what our EHR software has to offer. From managing appointments to updating your patient’s health history, our hDirectMail plans may be the perfect tool to keep your practice running efficiently. To learn more about the key features of our hDirectMail plans, contact our friendly team today.